Amongst the many types of equipment in service with pro-Russian separatists in Eastern Ukraine – whether received from Russia or captured from Ukrainian stocks – communications equipment and optics have been in short supply. These items, notable mostly in their shortage, have been important to the war effort, and lamented for their absence. Many separatist and pro-separatist bloggers commenting online have made it known that rebel forces experience continuous shortages of all manner of support equipment. Where large-scale supplies could not be acquired by the separatists via ‘conventional’ channels, separatist forces and their supporters had been forced to seek alternatives, purchased by their civilian supporters or acquired via online crowdfunding. In some cases, such alternatives have included craft-produced solutions. One such item is trench periscopes. Reports from separatist fighters of an increased use of snipers and other long-range small arms engagements by the Ukrainian Armed Forces (whether true, or merely rumours) have led to an increased demand for this equipment. 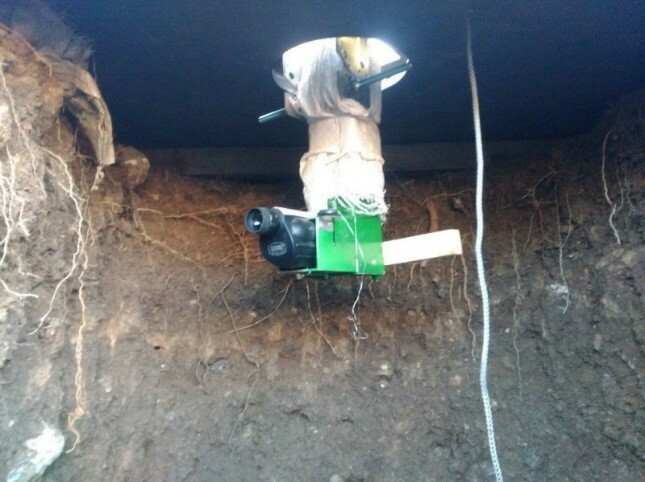 As such, the pro-separatist organisation KCPN (the ‘Coordination Centre for Supporting Novorossiya’), has organised the production of improvised trench periscopes in Moscow and their shipping, by those same volunteers, to separatist fighters near Luhansk. 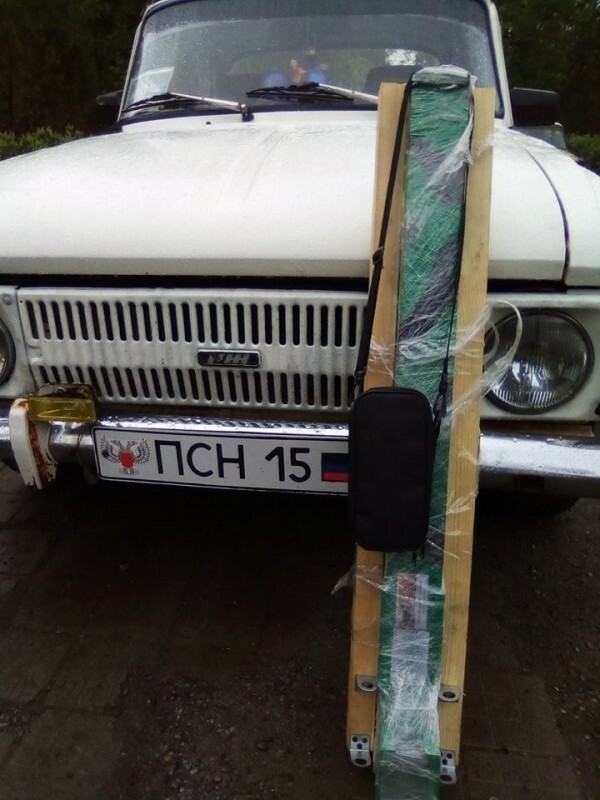 Once a sufficient quantity of supplies has been amassed in Russia, pro-separatist volunteers will then place them on a private vehicle (a van or small truck), and embark on a journey over the Russian-Ukrainian border and towards one of the capitals of the breakaway republics, and from there, to the positions of the various separatist units. 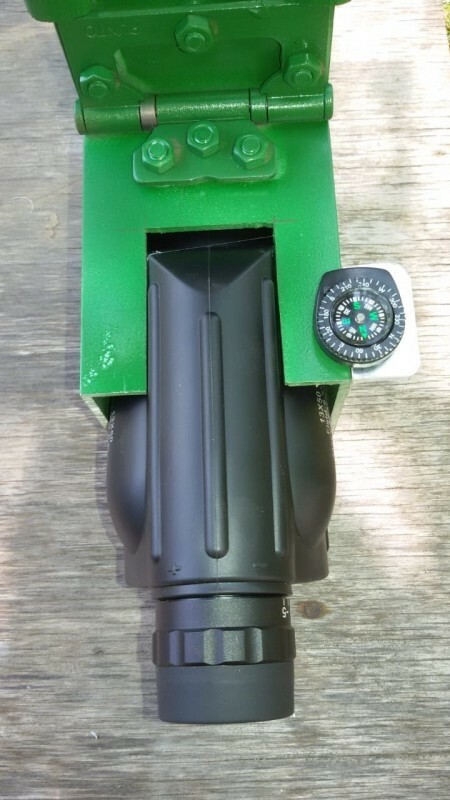 Figure 1.2 A KCPN periscope in its packaging, delivered to the “Donetsk Special Operations Regiment”. Figure 1.3 A periscope installed in a trench position of the LPR’s Battalion “Prizrak”. 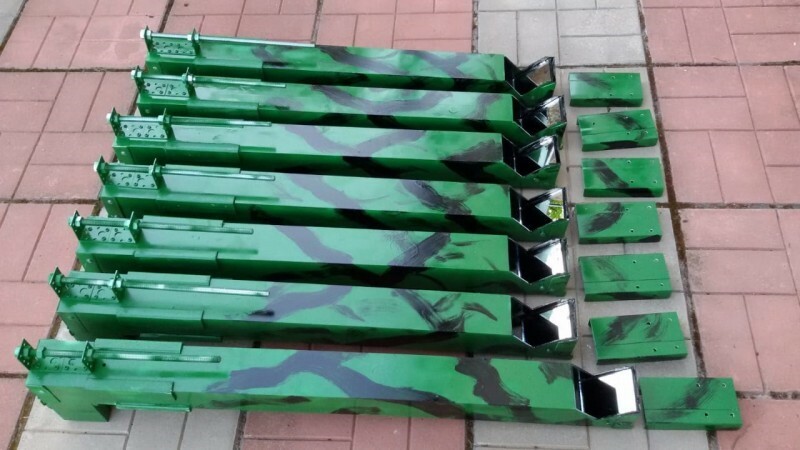 The quality of the optics mounted in these periscopes varies, and claims of monoculars with x13 magnification have been made in pro-Russian sites. The components (monoculars, compasses, and certain other parts) are typically commercial off-the-shelf (COTS) models, although some components may be manufactured by KCPN volunteers in Moscow. For the periscope mount, separatist sympathisers have also designed a standardised wooden ‘turret’ mount, which allows the periscopes to be raised above a trench position, mounted and dismounted on a bunker’s roof, without exposing the fighter using the periscopes to small arms fire. The following is a short instructional video demonstrating the periscope mounting system. There have been several reports of periscopes being stolen by separatist fighters who rotate away from the front line and take the periscopes with them, so as to ensure that the fighter in question will have the periscope available to him when he returns to the front, even at the expense of other separatist combatants. Images from open sources including Twitter, YouTube, and Facebook.